This all in One Laundry Cabinet includes a fully-assembled cabinet with acrylic sink, faucet with dual function spray plus a complete plumbing kit for easy installation. The attractive shaker style cabinet has a soft closing door and two open shelves provide ample storage space for your laundry supplies. 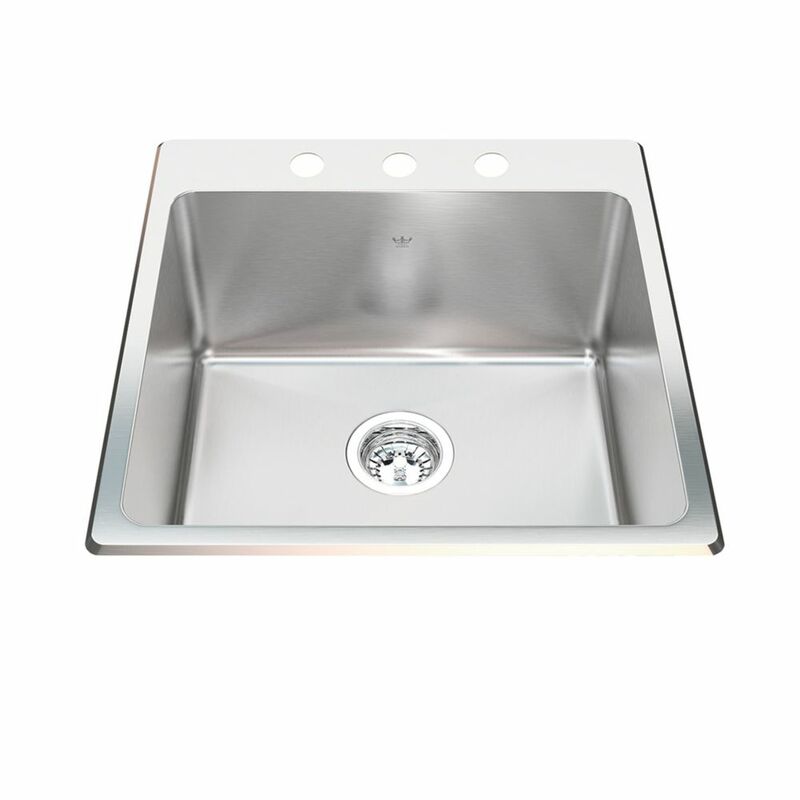 The acrylic sink has a generous depth to accommodate a variety of laundry room/clean-up tasks. 20 Ga HandFab DM single sink 3 hole drilling Single bowl hand fabricated 20 gauge dualmount laundry sink with 3 hole faucet drilling. May be installed above or below the counter. Bowl slope to center of the waste hole and drain lines assist in effective drainage. Rear drain position for more storage under the counter. Commercial Satin deck and bowl finish is a beautiful complement to business consultation devices, and is easy to maintain.